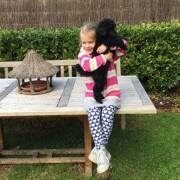 are ideal for Poodle loving families! 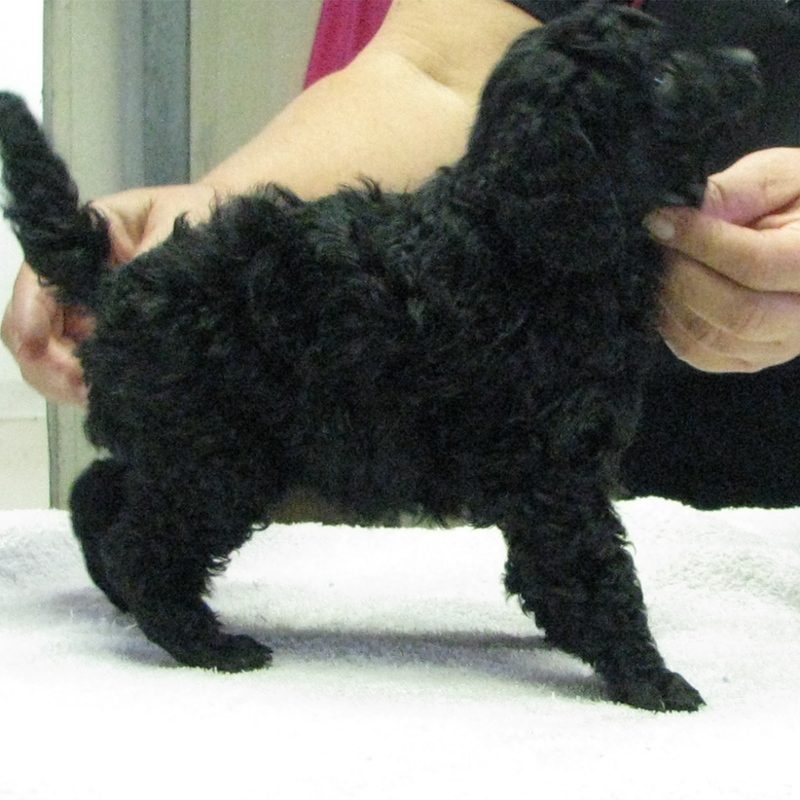 Most pups are also suitable to show on open register by arrangements. 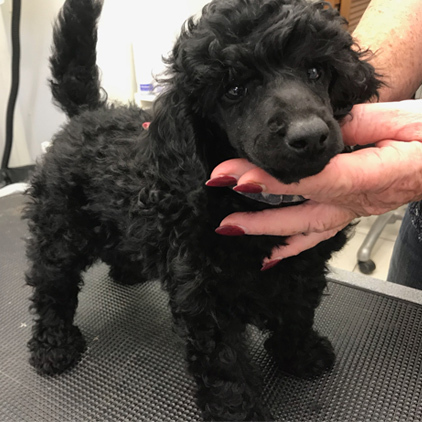 All our Poodles are happy, healthy and well socialised! Contact us now for available puppies. 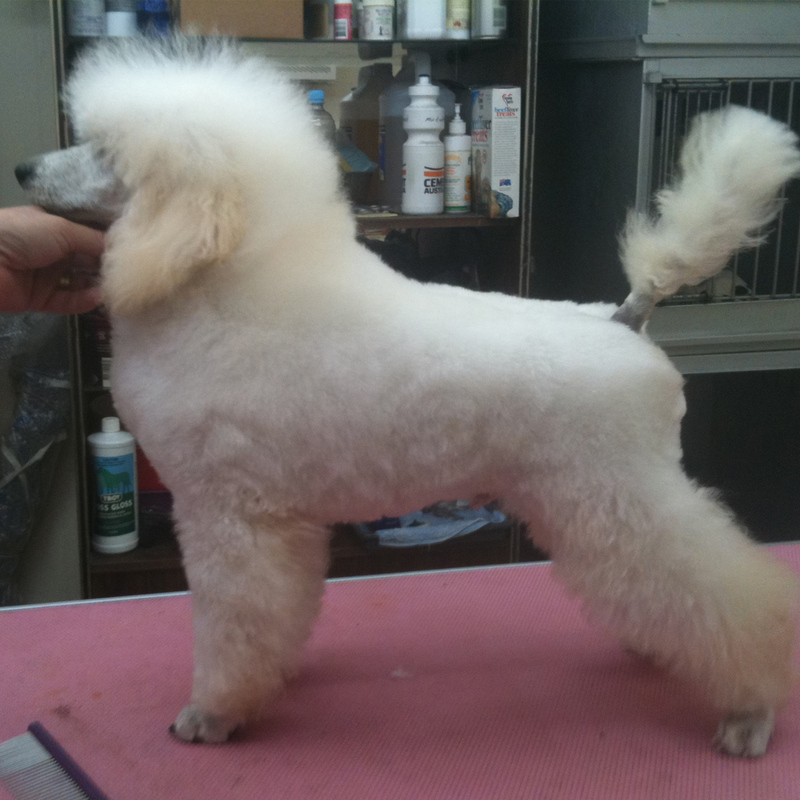 Myflair Poodles were the Top Breeders for the past 10 years. 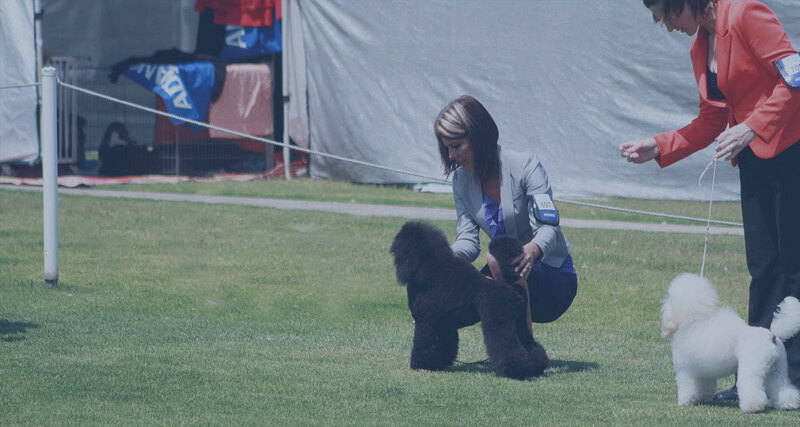 Our pups are bred from DNA Paten A. parents and are also from Champion and Imported blood lines. 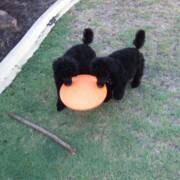 View more photos of our miniature poodles to see how adorable they are. 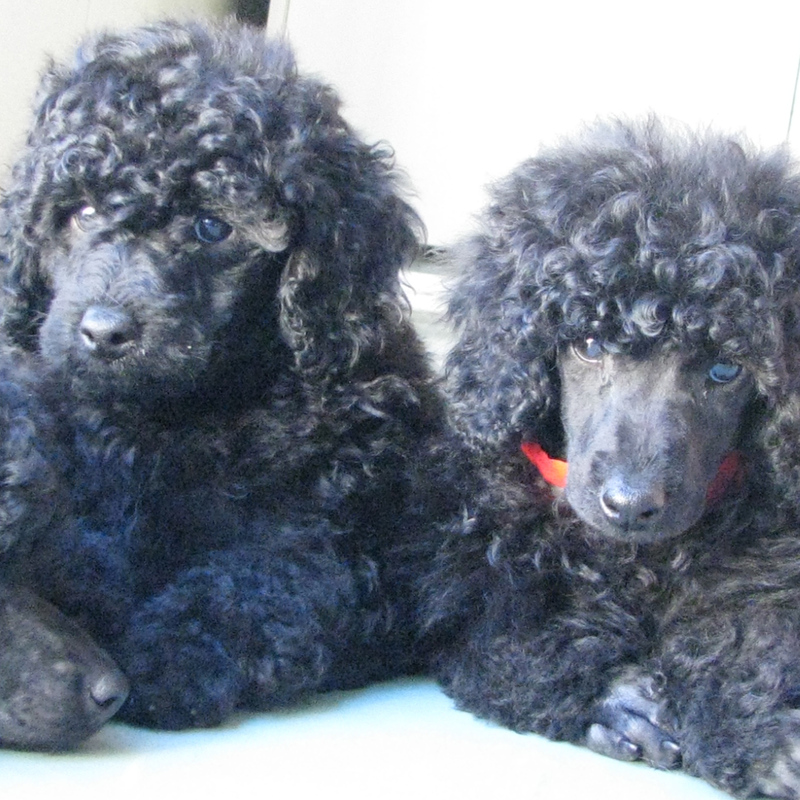 They are ideal for Poodle loving families. 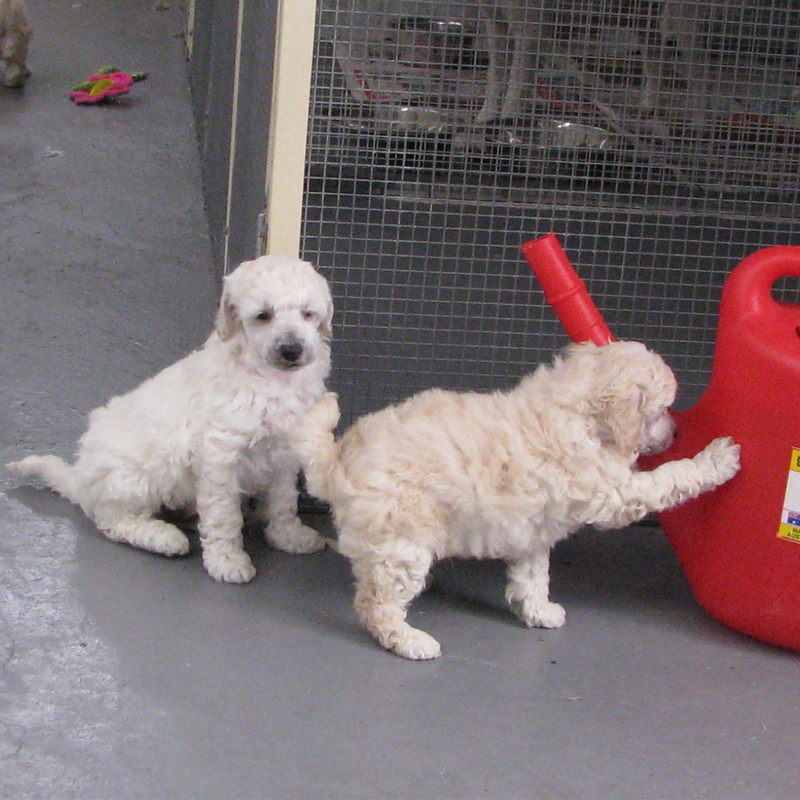 All puppies are fully socialised and would suit any family or single person. Hi Margaret, This is going to test your memory!!! My name is Robyn Smallacombe & I bought from you about 10 years ago now a beautiful little black girl we named Chelsea. 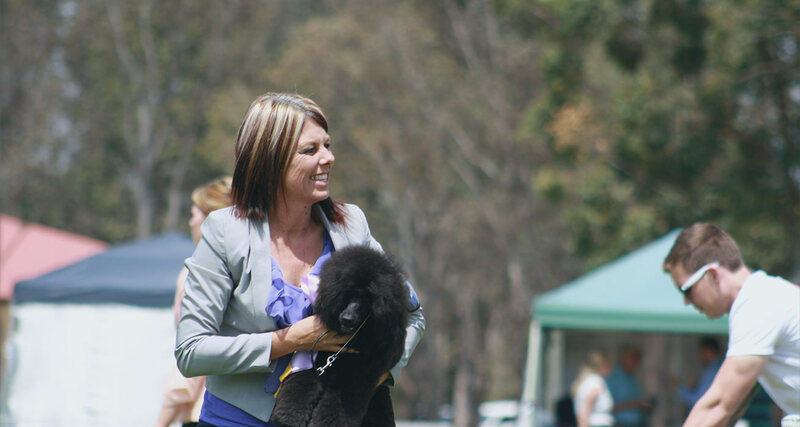 I showed Belgian Shepherds at the time, & went with you to a Poodle show which I loved, you showed her Dad who was beautiful, but really didn’t like showing. Jet who is now called Gerome has settled in asthough he has always lived here. He is really happy and has been no trouble at all.He tells us when he needs to go outside and is such a smart boy. He has claimed 2 chairs as his, own one in the family room and one in the living room. He sleeps in the bedroom in his own bed though. He is the most beautiful boy and a credit to the quality of poodle you breed. 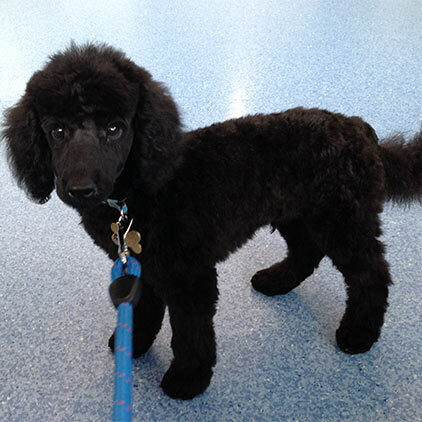 He had a rather short hair cut on arrival,but after a bath ,new coller, he looks a million dollrs. I will send a another photo when his coat grows out and he has a decent clip, which will be a lamb clip . Rest assured he has a wonderful new forever home and is adored! And he goes to toilet regularly outdoor… He is not entirely potty trained but he does very well at night when he is left alone than when he is distracted during the day.